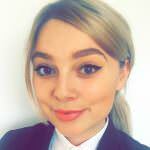 Emily is recently completed a criminal pupillage under the supervision Nick Adlington. Having grown up on the Wirral, Emily moved to Sheffield to complete her undergraduate degree. She graduated with first class honours, winning the Criminological Research Prize for achieving the highest degree on the Law and Criminology programme. She was awarded a major scholarship of over £20,000 from the Honourable Society of the Inner Temple to study the BPTC and the following year graduated with a Very Competent classification. Emily is an extremely accomplished Flautist, achieving Grade 8 with distinction when she was 15. She has since performed with orchestras, at weddings and as a busker and has used her musical income to support her legal studies. In her spare time she performs and records film music with a fellow musician.